Yes, yes, yes! It's December! So we should probably wrap-up the November book club discussion, ya think? This month we read Little Women , by Louisa May Alcott. Cassandra from Adventist Homemaker chose this book and is here to lead the discussion. Below are her thoughts. 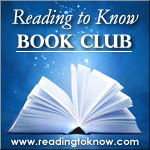 As a quick note, the Reading to Know Book Club will continue on into 2014. It will officially become a classics book club. Titles and teammates to be announced next week. I thoroughly enjoyed the time I spent with the March sisters during the month of November. 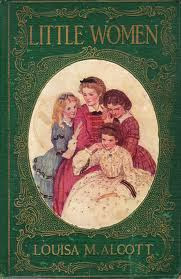 I read Little Women at a leisurely pace, a few chapters each night before bed. It felt very homey, like a visit with some old friends. When I started reading, I expected that I would find myself mostly in Jo, as I related to her most as a teen and young adult. I was (and still can be) impetuous, headstrong, and fascinated with novels and writing. My castle in the sky has always been a house with a personal library filled with dusty classics and a big desk where I can sit and write. During this read through, surprisingly, I found myself mostly relating to Meg! There was one chapter in particular that really struck close to home. Meg finds herself courted by a kind but poor man. They marry and live very simply. Meg struggles with her desire for pretty things and finds herself fighting to be content with her husband’s ability to provide. She finds herself giving in to temptation and purchasing fabric for a new gown, a gown that she and Brooke could not afford. I know exactly what temptation Meg faced, gave into, and learned from. I grew up poor but enjoy pretty and nice things – clothes, simple jewelry, a cozy home. During college, my husband and I made some bad financial decisions and both of us brought debt with us to our marriage. We are still paying off our student loans but we are now (following God’s plan for us) a one-income family. My husband provides for our needs, but because of our debt and saving for an adoption, I have to say no to a lot of my “wants.” Like Meg, sometimes I just want to go shopping without thought for the cost. Like Meg, I have hurt my husband by desiring more than we can afford. It’s a hard lesson to learn but one that really struck home during this read of Little Women. What about you? If you read Little Women earlier in life, did you find yourself relating to the same character as before? Have you grown up with the March sisters? If this is your first read, were you able to identify with one of the girls? Maybe with Marmee? I hope you enjoyed spending November with the March family! Many thanks to Cassandra for hosting this month! My own personal thoughts will be shared later on this week (because yes, I AM behind)! I'm hoping to write my review tonight and post tomorrow. I have lots to say! We haven't finished it, but I'm thoroughly enjoying reading it aloud with my girls (10, 7 and 6) for the first time. My 10 and 7-almost-8 are able to get much of the humor. It seems like this time I'm relating much more to Meg this time (like Cassandra mentioned) as opposed to Jo who I always thought I was as a young(er) girl. And, I'm much more observant of Marmee in this reading - as I mother my own brood of girls I'm looking at how she is acting and reacting. I always enjoy rereading this book, and like Cassandra, I have identified with different characters in the story at different times of my life. My review of this beloved favorite!